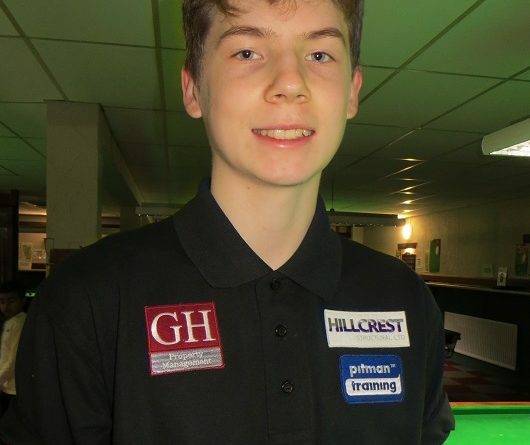 CONNOR Benzey insisted “I was nowhere near my best” after winning his third tournament out of four on the feeder tour for the national junior circuit. The 17-year-old leads the rankings going into the final events in Fareham next month and London in May. Benzey overcame Jack Haley (Harlow) 2-1 from 1-0 down in the final of the EASB Regional Junior Tour South event at Racks Snooker & Pool Bar, Maidenhead. He was also forced to battle back from 1-0 down to see off second-placed Jamie Wilson (Havant) 2-1 in the last-four. “I was nowhere near my best but I made less mistakes than everyone else,” he said. Benzey, who recorded the day’s highest break of 67, is strong favourite to gain promotion to the Premier Junior Tour, which is restricted to the country’s best 32 players aged under-21.